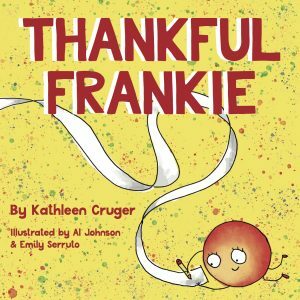 I backed Thankful Frankie before I even met Kathleen (yes, I’m one of those strangers backing campaigns), because I absolutely loved the book’s message. 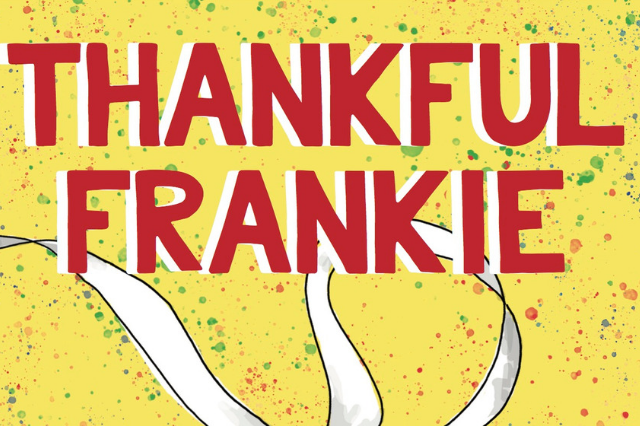 It broke my heart to see the campaign fail when the book had so much potential and I was delighted to see Kathleen relaunch Thankful Frankie with a new goal. 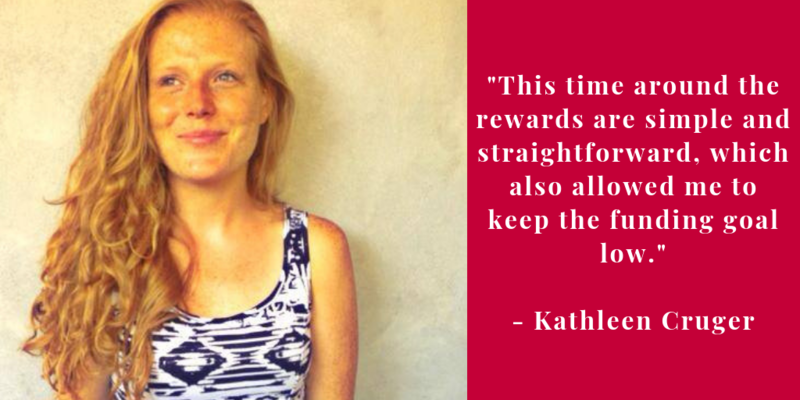 I asked Kathleen to share a bit about her experience and what she changed during the relaunch. Be sure to check out her relaunched campaign here and support the campaign with a social media share or pledge. If you’re scared of failing, and who isn’t(? ), then be sure to read Kathleen’s encouraging messages and advice about how to handle a public failure on Kickstarter. Why did you decide to crowdfund your book? Crowdfunding offered an opportunity to share the message behind my book and get the word out about Thankful Frankie. I also knew that paying an illustrator/designer, printing copies, shipping books, and a handful of other expenses add up to quite a lot of money. Raising funds offset the financial risk required to self-publish. Almost everyone is terrified of failure but your campaign failed and you decided to relaunch on Kickstarter. Can you explain a bit about your experience and how you decided to relaunch? I’ll be honest, failure is the worst. It doesn’t feel good and for a few days after the campaign ended it was difficult to stay positive. After getting over the set-back and disappointment, I reconnected with the purpose of my book. The book encourages readers to list things they are grateful for each day, a practice I believe can change your life. I have put so much love and work into Thankful Frankie, and I believe so strongly in its message, that giving up was not an option. Aside from changing your overall campaign goal from $20k to $4444, what other changes did you make to your strategy and communication with your audience? My initial campaign launched when I was working with a hybrid publishing company (hence the crazy $20,000 goal). After parting ways and deciding to tackle this on my own, I realized I needed significantly less funding and was able to lower my goal. I also changed the rewards I offered. Most of my backers were family and friends and were supporting out of love. I realized they didn’t want or need the rewards I had initially offered. This time around the rewards are simple and straightforward, which also allowed me to keep the funding goal low. I am still in the middle of my campaign, but communication and connection with my audience has been more consistent and I post on my social media accounts every day. Allow yourself to be upset for a couple days, scream a little, cry a little, throw some things around a little, and then get over it. What strategies or resources did you find most helpful when planning your campaigns? I referenced a lot of successful and unsuccessful campaigns to see what worked and what didn’t. This gave me ideas for rewards, price ranges, and strategies for communicating with backers. Your blog has been a game changer for me as well. When starting out I connected with your blog to help decided which crowdfunding platform to use. I read and re-read your post “5 Biggest Mistakes Indie Authors Make While Crowdfunding” and got so much out of it. I have about 2 ½ weeks left in my campaign and will implement your suggested strategies as I continue to work toward my goal. I also connected with other authors who ran campaigns and asked for any tips, advice, or suggestions they could give. There are many great groups on Facebook and social media that provide a supportive community to bounce ideas off of. Lastly, I supported projects and other campaigns that resonated with me. What has surprised you the most about crowdfunding? Great question! I knew it wasn’t going to be easy, but I didn’t expect it to be this hard. Crowdfunding is currently my full-time job! What has been your biggest source of support? I wouldn’t have gotten this far through the process without my family and friends. I owe them so much gratitude and several giant hugs. Another source of encouragement has been seeing other self-published authors achieve success. It’s great motivation to keep at it despite the challenges. What advice would you give to an author who is considering crowdfunding their book? -Believe in your book and its message. Passion will keep you moving forward when things get tough. I know this is a tough financial decision to make since you are crowdfunding to earn money not spend it, but this could be the difference between making your goal or falling short. –Make genuine connections and support others when you’re able. What would you tell that same author about recovering from a failed campaign? If you believe in your book and your heart tells you to try again, try again. Allow yourself to be upset for a couple days, scream a little, cry a little, throw some things around a little, and then get over it. An unsuccessful campaign isn’t necessarily the sign of a bad book, perhaps it’s a sign of bad campaign. 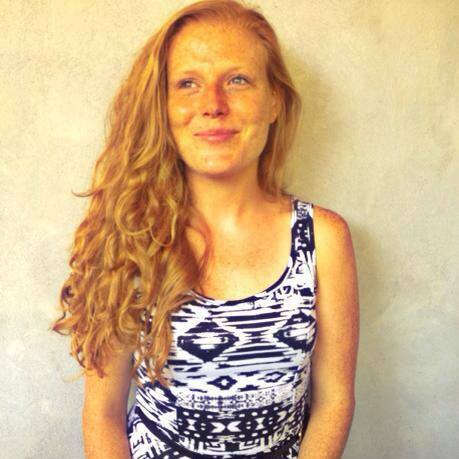 Kathleen Cruger is a former educator, a musician, a lover of nature, travel and kindness. In addition to writing, Kathleen teaches yoga in Los Angeles, CA. She is a firm believer in the power of gratitude and kindness and does her best to practice both each and every day. Kickstarter vs. IndieGoGo—Which One is Best for Your Book? Join my closed Facebook group of Crowdfunding Authors to share ideas, get feedback, and collaborate with one another. Getting folks onto your email list should be your #1 priority after you’ve created some content for your website. Because nobody can rely on Facebook’s or Twitter’s algorithms to put your content in front of your readers. Sending messages directly to your readers’ inbox is the best way to deliver valuable content and create a dialogue with your readers. Before we talk numbers, I just want you to know that I successfully Kickstarted Knocked Up Abroad Again with a list of only 110 subscribers. 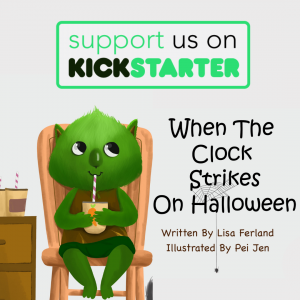 They were my core group of people who I reached out to to generate momentum on launch day of my Kickstarter campaign, but I also leveraged the readers of the book’s 25 contributors. Over the years, I’ve struggled with finding topics to send my newsletter recipients. Should I send them links to my blogs? (Yes.) Should I send them links to affiliate courses or products by other people I know, like, and trust? (Yes.) What should I actually send my newsletter recipients? In short, you can send anything to your readers as long as you are delivering meaningful content. Make it valuable, insightful, or emotional and people will open, read, and share your emails. I feel most comfortable with sending no more than two (2) emails a month. I have enough to include in each email—blogs, podcasts, articles, etc.—and I can be consistent with bi-weekly emails. If you’re just starting out, I’d start with monthly emails and see how it goes from there. As long as you offer up high-quality content that your readers find valuable, people will stay on your list. Almost everyone knows at this point that if you register for a free webinar or e-book, your email is going onto someone’s list. There will always be folks who hop on your list for a short time to grab your freebie and then unsubscribe right away. Don’t worry about those people. Focus on delivering quality content or insights about your writing process that will keep your readers engaged. 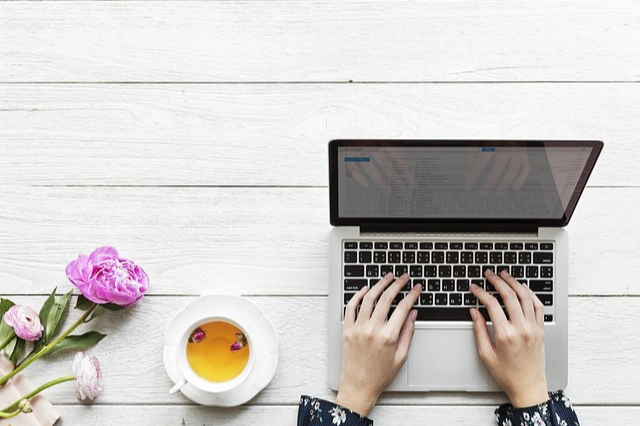 Using MailChimp or Mailerlite, you can create sign-up forms and use automation to deliver digital content as an incentive to increase your subscribers. In short, have fun with your content creation and create multiple avenues for people to get onto your list. Send out consistent high-quality content, and be yourself. 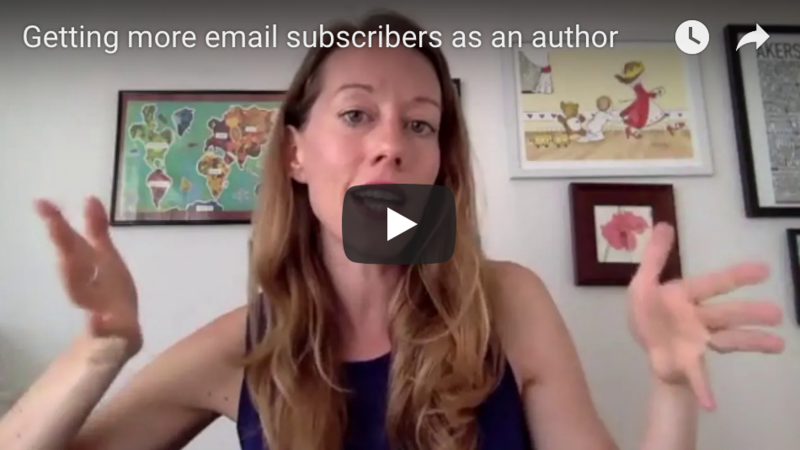 Watch my video on YouTube about email subscribers here. Learn from other authors and figure out what works in this series where I interview those who have been there and done that. What was your biggest mistake in self-publishing your book? My biggest mistake was writing my book before I started my blog. 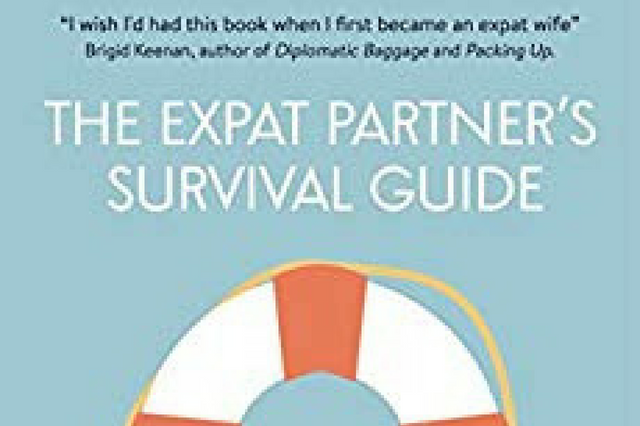 Had I built my blog first, that would have helped me reach more people with the book with a ready-made audience for The Expat Partner’s Survival Guide, and I would’ve been able to better answer the questions my readers had. Especially since my book was more of a self-help guide for a specific community, it would’ve helped me had I been able to connect with my readers beforehand. Also, a blog is a great way to explore what it is you want to write about in your book. That said, I’m not sure I would’ve had the time to maintain a blog and write the book, so there is always a balance to find. Did you take any courses or study how to self-publish before you started? I took a self-publishing marketing course and read Self-Printed, which I used like a guidebook to help me through each step of the way. I also went on a writer’s retreat and spent a few days brainstorming, writing a pitch for publishers, and started my first chapter. Really, I jumped right into it and made it up as I went along until I started to get the hang of it. Did you hire any experts to help you? I hired people to help me with the editing, proofreading, cover design, interior layout, and e-book design. I uploaded all of the finished materials to Kindle Direct Publishing and CreateSpace myself and it was quite easy to follow the on-screen instructions. One of the hardest parts was knowing how much I should pay for each service. Pay too little and you’re sure to have low-quality work. Pay too much and you’re getting ripped off. It’s really important to know what you shouldn’t be paying someone. What other challenges did you experience? It was really hard for me to know if my idea was worth anything or not. I received great feedback from my editor but only I really cared if my book sold or not. My editor made some great suggestions about leading between chapters—recapping what had been said at the beginning of my chapters and letting the reader know what was coming next at the end of each chapter. That really improved the book for the reader and made it easier for them to keep reading. How much did you spend self-publishing your book? I didn’t want to spend more than $1,500 on the editing, cover design, and e-book formatting but I can’t remember exactly how much everything cost in the end. I was very cautious with my budget but I recommend investing in services that would take you days to figure out but someone else only a few hours to do. Your time is valuable. What is the most exciting thing about self-publishing? That excitement you feel before you press “Publish.” It is so rewarding to get feedback from readers who let you know that your words have touched them in some way. What advice would you give to someone thinking about self-publishing? Don’t put out anything you aren’t proud of. Remember that the book is only part of your brand. After publishing my book, I’ve launched a freelance writing career and people take me seriously. Think about the branding of your book and create something that can follow you wherever you go (e.g., speaking engagements, webinars, courses, etc.,) and is easily recognizable. Do you have any future plans for more self-publishing? No plans at the moment to revise or update the current book. I am thinking of creating a short companion e-book, The Repat Survival Guide, but nothing is set in stone. 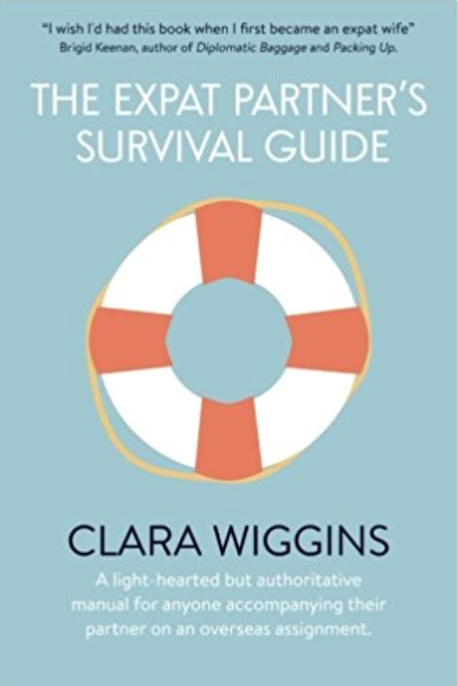 Clara Wiggins is a freelance writer and author of The Expat Partner’s Survival Guide. Clara was very budget-conscious and self-published her book for less than $1500. Design a smart budget for your book with this free webinar on how much self-publishing can cost indie authors.